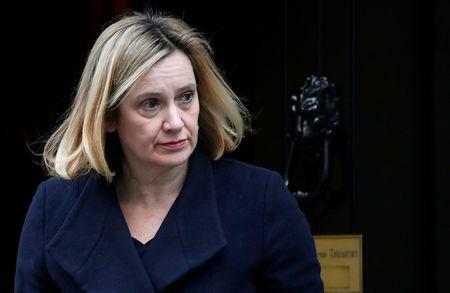 LONDON (Reuters) - Employers who mismanage workers' pensions pots will face up to seven years in jail or unlimited fines, British pensions minister Amber Rudd said on Sunday, announcing a beefed-up response to a series of high profile corporate failures. "For too long, the reckless few playing fast and loose with people’s futures have got away scot-free, Rudd wrote in the Sunday Telegraph newspaper. "To curb these freelancers playing fast and loose with your cash, I am going to make ‘wilful or reckless behaviour’ relating to a pension scheme a criminal offence, with jail terms of up to seven years for the worst offenders. We’ll also give the courts powers to levy unlimited – yes unlimited - fines."